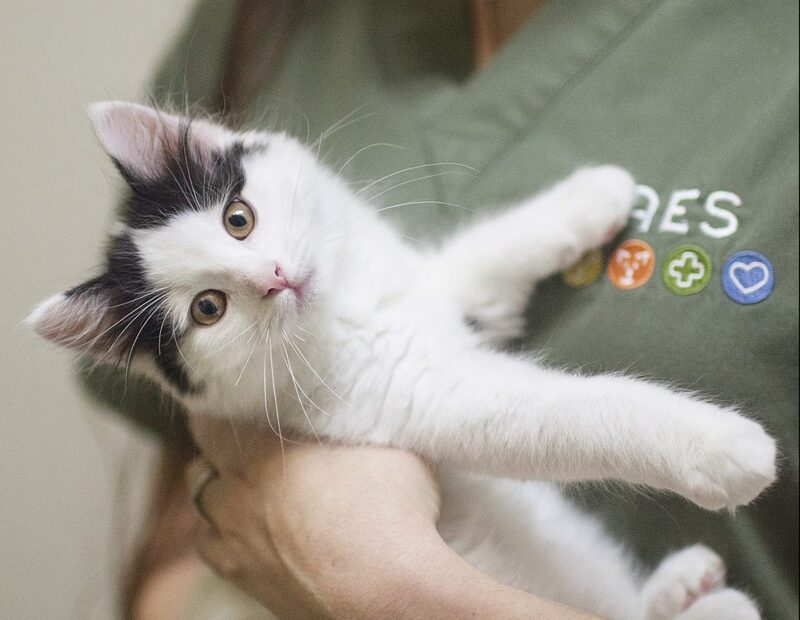 Animal Emergency & Specialty (nee Animal Emergency Service – East) humbly began as an after-hours only hospital near downtown Kirkland. 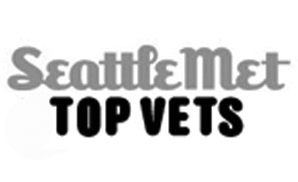 Family-owned since 1980, we are proud to be the oldest emergency veterinary hospital on the Eastside! 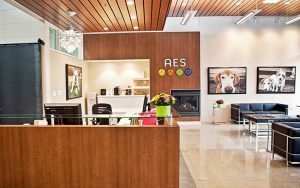 AES is honored to be the preferred emergency and specialty care provider of many Eastside pet parents, family veterinarians, and animal welfare organizations! Since succeeding the practice in 2006, Dr. Mark O’Hanlon has worked hard to grow our hospital and to build a team of like-minded individuals who put patient care first and foremost. As our standard of care rose, scope of services expanded, and our patient load increased, we quickly outgrew our old, two-story 2,400 SF building. 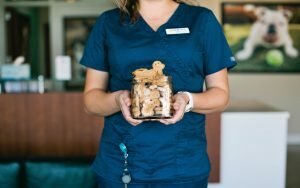 In 2013, we moved into our beautiful new, 6000+ SF facility in Totem Lake and went into full-time, 24-hour operation to better serve patients, clients, and referring veterinarians. Building upon our tradition of excellence in emergency medicine, AES added specialty services to our repertoire, including surgery, rehabilitation, and radiology. We plan to add internal medicine services in the near future. What hasn’t changed over the years is our commitment to compassionate, personalized medical care and unparalleled customer service. By partnering with our referring veterinarians (most of whom we know on a first-name basis) and with the support of our dedicated, knowledgeable, and skilled team members, AES looks forward to continuing to serve and grow with the Eastside community for many years to come! We, the experienced AES doctors and staff, are dedicated to providing compassionate, 24-hour emergency and specialty care for our patients. Each member of the AES Team pledges to take excellent care of our patients while providing our clients with exceptional customer service. The AES Team promises to work in close collaboration with pet parents and family veterinarians to get our patients feeling better ASAP! Compassion: We promise to treat pet parents how we wish to be treated, and to treat our patients like our own furry family members. Integrity: We will present treatment options, provide cost estimates, and help pet parents make informed decisions about what is best for their pets. We will never pressure pet parents or make them feel guilty about their choices. Trust: We will keep pet parents apprised of significant changes in their pet’s diagnosis and prognosis. 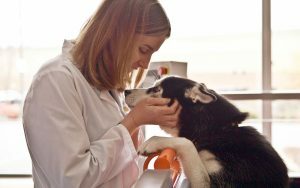 We will coordinate care of our patients with their family veterinarians whenever practicable. Finally, we will ensure continuity of care by transmitting our patient’s medical records to the referring veterinarian when the patient is discharged.